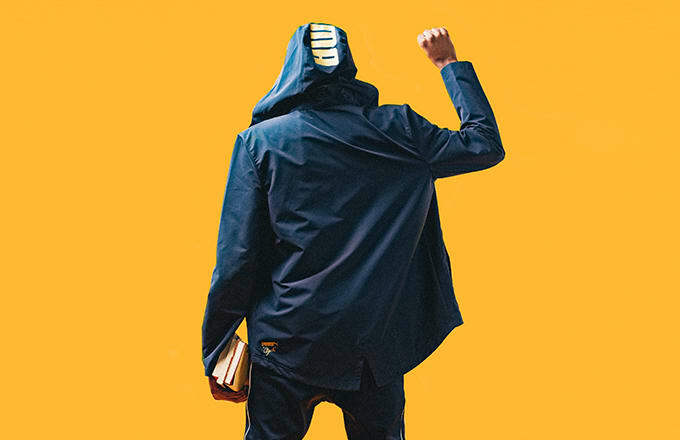 PUMA has a long tradition of honoring brave institutions and individuals whose words, actions, and sheer strength of character have changed our nation for the better. This year, the footwear leader is proud to honor both a person and a place that have each done just that: Walt “Clyde” Frazier and Atlanta’s historic David T. Howard School. The Howard School has now been in existence for almost a century and has operated as a high school since 1948. More importantly, the school has consistently set higher standards for education, played a prominent role in the Civil Rights movement, and given the world a long list of notable alumni—including basketball and PUMA legend Walt “Clyde” Frazier. This year’s tributary collection came in two waves. 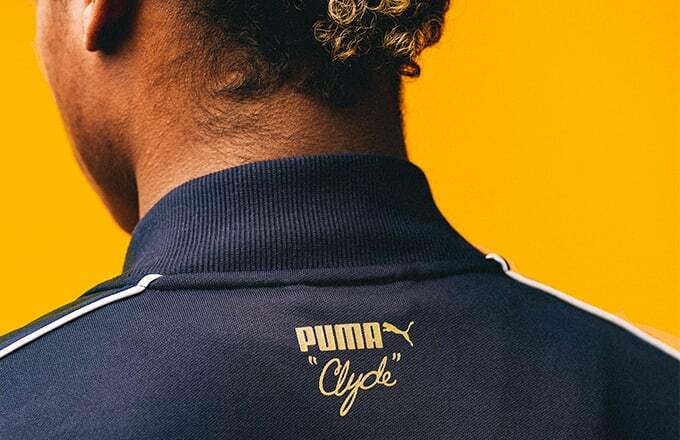 The first dropped last month and featured two exclusive versions of the iconic PUMA Clyde sneaker: The Clyde Bball, which boasted a design that fittingly emulates a basketball, and the Clyde Wool, an homage to a high school letterman’s jacket bearing the David T. Howard school’s colors of blue and gold. 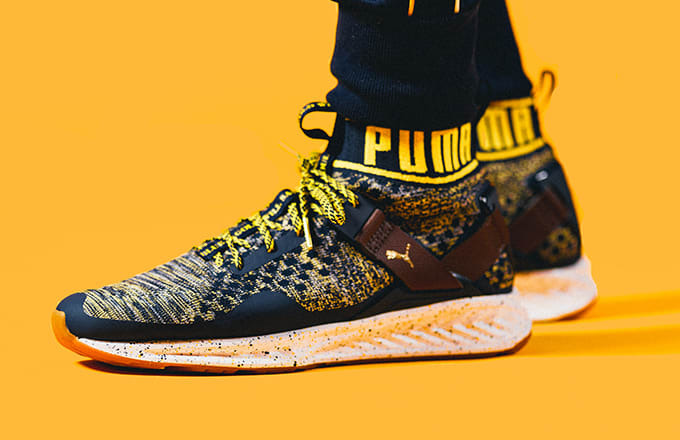 This month, in honor of Black History Month proper, the second portion of the PUMA Legacy collection arrives, and it includes a number of varsity favorites in both apparel and footwear. On the apparel side, we’ve got the new Clyde T7 Jacket and Pant combo, as well as an assortment of men’s and women’s tees that pay homage to the year of Clyde’s graduation. 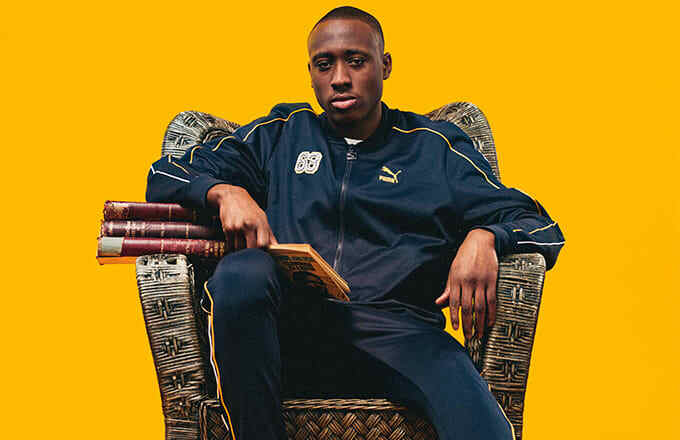 The tees are also emblazoned with the campaign’s key question: “What will your legacy look like?” On the sneaker side comes the brand new IGNITE evoKNIT, which features a blue and gold premium knitted upper and ankle cuff, as well as the basketball-themed Sky II Hi, also featuring a blue and gold upper but adding dual lacing to the mix, which allows each wearer to decide how exactly to style it. The third footwear addition is the simply titled PUMA Clyde, available in both “his” and “hers”, which feature a preppy white leather upper, blue leather formstripe, and the Howard School’s emblem displayed prominently on its tongue. Rounding out the collection are an assortment of custom accessories, including specially designed socks, a duffel bag, a winter hat, and a flat-brimmed ball cap. You can get a glimpse of some of the Legacy Collection’s newest offerings in the pictures below. 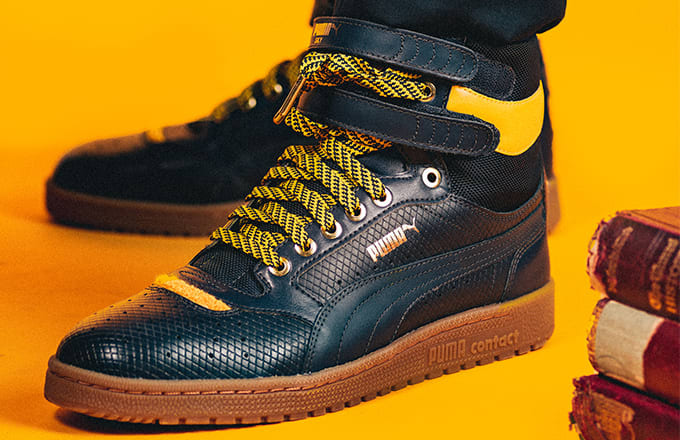 To get them for yourself, simply visit PUMA Lab Powered by Foot Locker, DTLR, Footaction or PUMA.com.